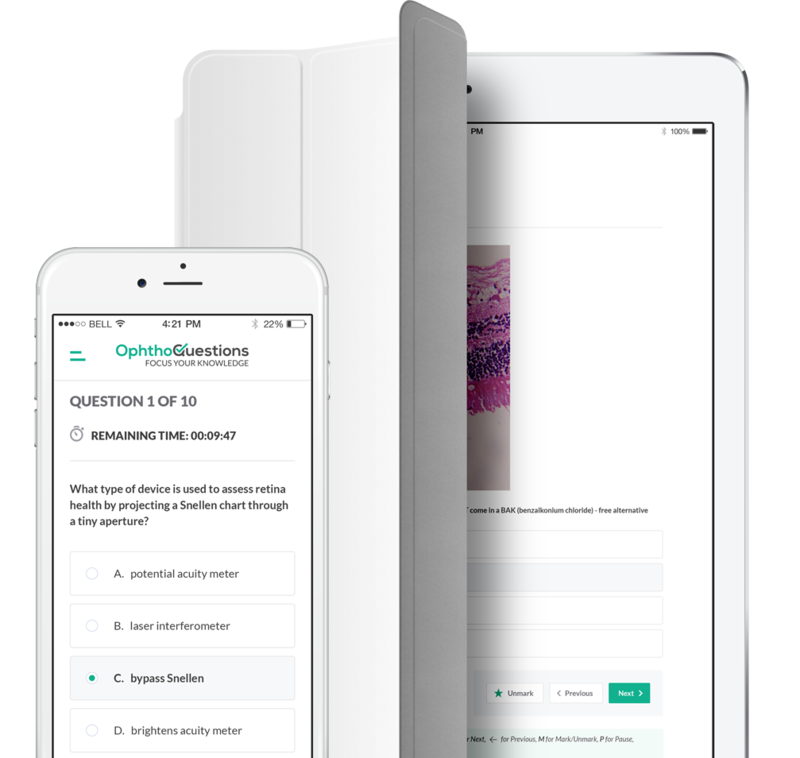 Ophthalmology board review website with 3500+ questions for the OKAPs, ABO Written Qualifying Examination, FRCOphth examinations, Demonstration of Ophthalmic Cognitive Knowledge (DOCK), or European Board of Ophthalmology Diploma (EBOD) Exam. 4151 high-quality questions and counting in the database! The very best Ophthalmology board review website! We offer the best bang for your buck in the Ophthalmology test preparation business. Period. This is your gateway to our Oral Board products which will help you succeed on your oral exams, including the ABO Oral Exam. "There is zero doubt in my mind that passing my exam is 100% due to me using your question bank!"